A news report is looking into what women are doing that is good and how they are suffering when it comes to success in business. The report, Tackling the Gender Gap: What Women Entrepreneurs Need to Thrive, was put together by Senator Jeanne Shaheen. 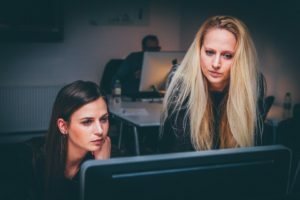 The good news is that women are starting businesses in “record numbers,” but the bad news is they are not managing to develop them nearly as fast as their male counterparts. And the ugly truth is that in as much as so many advancements have been made in favor of women, the business world is still predominantly patriarchal. Looking at statistics from the report it seems like things are great for women. In other good news US women own 11.6 million businesses (accounting for 39% of all businesses in America) but the bad news is given the obstacles they face, businesses owned by women are employing a mere 8% of the private workforce, and it gets even uglier when we see that they account for a mere 4% of all business revenues that are generated. So what is being done to turn this around? One piece of good news for women is Charles Barkley’s recent pledge to help black Alabama women. With a serious infusion of $1m, following the Democratic victory in the recent state Senate’s election, the former NBA All Star player pledged to give this money to help this demographic “start I.T. start-ups.” This is his way of not taking their support for granted anymore and giving back as they deserve.